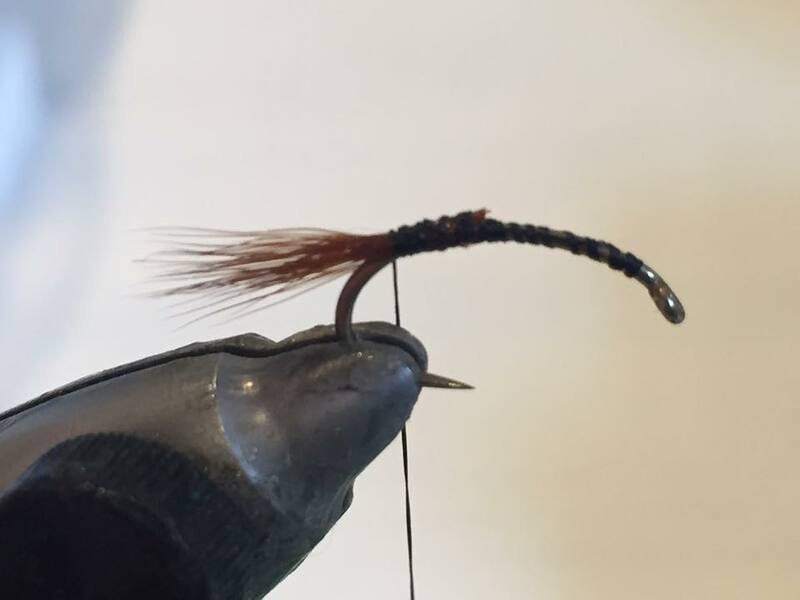 This chocolate brown coloured nymph which is also know as the "spiny gill" mayfly nymph is an easy one to tie and one that should be in every fly fisherman's fly box if visiting New Zealand fly fishing. It is commonly found through out NZ in stable well oxygenated rivers and streams among the sections of river with larger stones and boulders. Its quite distinguishable from other nymphs due to its feathery gill structure along its body which it uses to extract oxygen from the fast flowing water in which it lives. A cracking Brown trout taken on Coloburiscus humeralis nymph from a small fast flowing well oxygenated mountain stream, deep in the Southern Alps of the South Island of New Zealand. 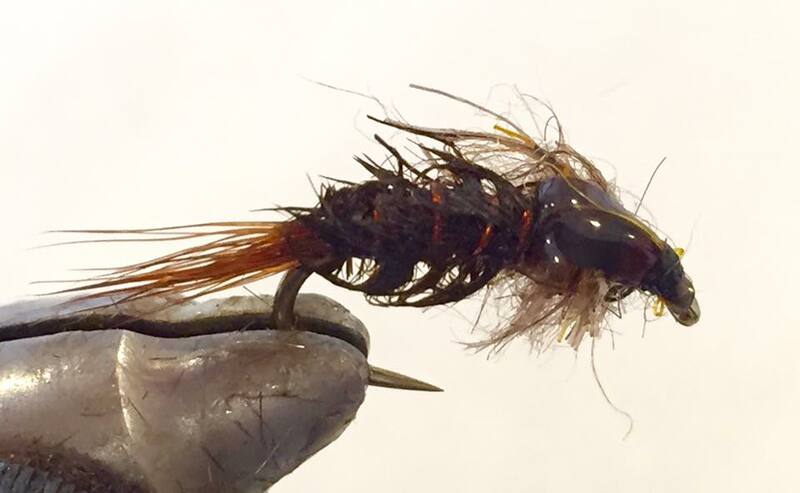 Brown or Black Mono Thread 3/0. 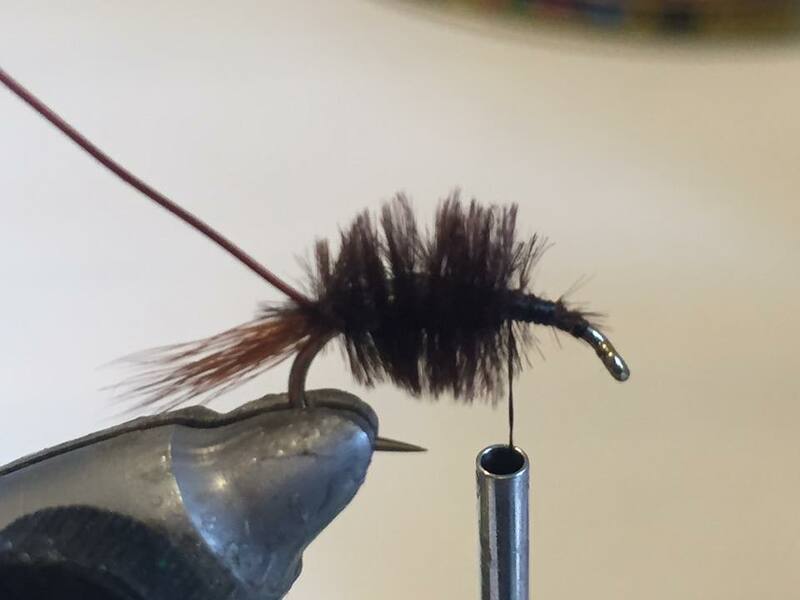 Fly Tyers Dungeon Test Dubbing -Hares Mask. Brown hackle fibres or fibres from a paint brush.